It's that time, once again, for the North American Nintendo Download Update. This time around there's a major retail arrival on 3DS, a DS classic on the Wii U and some interesting 'Nindie' efforts. Let's get right to it, shall we? Missed the European Nintendo Download Update? Don't worry, the details are right here. SHOOT THE BALL (RCMADIAX, $1.49) - Previously released on the New 3DS eShop; you use the touch screen to 'shoot' the ball into space, with randomised shapes and colours that set the difficulty level. Advance Wars: Dual Strike (Nintendo, $9.99) - One of the much-loved entries in this Intelligent Systems series, this should help ease the pain of those wondering where the Advance Wars series has gone. This was the third entry in the series and the first on DS, offering plenty of drama and strong strategic gameplay across two screens, in this case putting the GamePad and TV to work. We praised it highly in our Advance Wars: Dual Strike review. 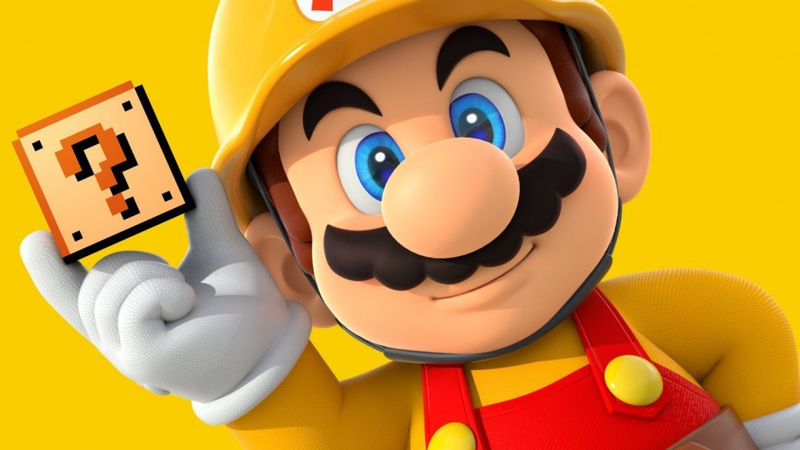 Super Mario Maker for Nintendo 3DS (Nintendo, $39.99) - Only announced in September, this port of the excellent Wii U title takes away online sharing but introduces a new Mario Challenge mode and some portable benefits. We like it a lot, which in itself isn't the most popular opinion out there. Available from 2nd December. Hyperlight EX (CatfishBlues Games, $5.49) - Previously on smart devices, this is a colourful and high-tempo shoot 'em up, making it a relatively rare arrival in the genre on 3DS. It has multiple modes, control options and includes stereoscopic 3D, so we'll see whether it lives up to its potential in a review. CUP CRITTERS (RCMADIAX, $1.49) - This entry is all about managing gravity and manipulating balls into cups, with setting a high score being the main aim. As a reminder, don't forget that over 40 games are discounted in the eShop Cyber Deals until 5th December. More discounts for this week will also appear on the eShop and Nintendo's deals website. Actually I am waiting for Animal Crossing New Leaf Welcome Amiibo physically. Gotta get that game on Sunday if all according to the plan. Another RCMADIAX game? My favorite! In all seriousness though, I'll probably pick up Dual Strike. @Mega_Yarn_Poochy uhm..that's Dual Strike, mate. Dual Strike was probably my favorite advance wars game. I don't know if it's as good without playing one and two, but it was a lot of fun. I would like Advance Wars II but the prices for GBA on a home console are too high, so Nintendo perpetually gets more NOTHING from me, yet again. Wii U has been an astounding disappointment that just doesn't quit -the weekly e-shop dump really shows it too. Mario Maker price is still in euros and pounds. So any thoughts about playing AW3 without playing 2 first? I really enjoyed 1 on Wii U but never got around to 2 as it seemed like just more of the same, this looks different. Nothing. Honestly I haven't even played the Wii U Mario Maker in months, no chance I'm buying it a second time. @Equinox I'm picking it up for my son. It's a good idea. I'll make the levels and he will play them. @msvt But this is the DS Advance Wars. Nothing for me this week, I own Advance Wars for Wii U and quickly discovered that even with a modern settings the Fire Emblem formula is still just not for me. I enjoyed Hyperlight on Android, so having extra features will make it with double-dipping. Wasn't there supposed to be a Game Awards sale? Or does that go live this evening? I'm excited to play Hyperlight. It seems like a perfect game for the 3ds. Disapointing this week, (though, Advance Wars is nice, though I'd rather get the first one) but I got some good discount Eshop sale games this week already like a few Kirby & Sonic games, so I can't complain. I assume Majora's Mask is still $10 for people who downloaded the Wii VC? Nothing for me this week as I already picked up 3D Sonic 1 and 2 during the sale. Go and download Advance Wars: Dual Strike! I so would get Advance Wars: Dual Strike now, but the eshop cyber sales and Pokemon Moon have already grab my attention for a good long while. I'll buy it later on down the road when I have more free time and less games to play. If you haven't played Dual Strike... You are missing out. It easily trumps Days of Ruin (added some cool vehicles, ruined the CO system). I have 500+ hours on Dual Strike. I have no soul any more. Mario Maker retail later on in the month, the flow of eshop games really seems to be slowing down to a trickle. Hope we get news on Brave Dungeon coming over at some point. @mikegamer Yes--they're trying to make sure Switch launches successfully. Still a little sad that they haven't made an AW title for the 3DS. May get Dual Strike for the Wii U down the road. Need to play a few more Christmas gigs before I can justify buying anything fun. Only seven hours to go now... and then, Mario Makin' on the (let's-a) go. @RyanSilberman at least his still supporting the Wii u. Nothing for me this week from nintendo or many other weeks/months, just waiting for them to release Zelda Breath of the Wild on Wii U. Not going to purchase the Switch anytime soon either going to hold out for a price drop on the Switch. My PS4 and Xbox One will hold me over for the switch to drop in price and plus I am more of a Sony playstation player. Just like a few of Nintendo's games like mario kart, mario 2d and 3d games, and Zelda, starfox, and metroid the rest of them I don't care for at all. Your speaking for me exactly. PS4 will be garnering our household until Nintendo releases the new Zelda, and we plan to pick up Switch when they drop the price. 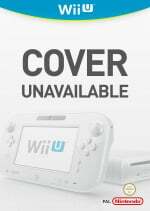 I know it doesn't sound loyal, but we bought our Wii U expecting Metroid, Zelda, and more Mario than we got. Nintendos VC team is really slipping. Yes, I called is AD2 (I forget now what the second GBA game was called, I thought it was this one). Hmm... I think you have just sold a game form Nintendo -that's for the reminder. @Beau_Skunk you can buy the first advance wars! Nothing for me this week. I did get Fast Racing NEO and 3D Sonic 1 & 2 a few days ago on sale though. Might be getting 7th Dragon III Code and Steamworld Heist this weekend. My dad is coming down early for Christmas to see my kids, my hubby and I since my older brother had his 1st baby yesterday. @GameOtaku Nintendo's VC team jumped the shark back when WiiWare was introduced. They never really recovered from that. It is like they cannot focus on more than one thing. Their mind set: We are going to release NES games. All the Nintendo titles are out, so no more NES games because now it is SNES games. Nintendo's SNES games are done on to GBA. GBA games owned by Nintendo is complete, let's tease N64. N64 is crap on Wii U, move on to DS. All our DS games are finished, hey let's try to release Wii games at $20 a pop when you can still purchase for $0.50 used. Nothing for me. I'd love Advance Wars on the New 3DS but apparently, Tis not to be. @Darknyht I've never seen Wii games that cheap used. They usually go for $10/$15 or more depending on the area. So yeah, $20 is a bit much, seeing as the Wii is 10 years old now. You can play them on the TV, can't you? Depends on which screen setting you're using. I wanted super Mario maker till I read the review... but seeing that you're forced to play their levels to unlock things just kills it for me. I just simply wanted to make stuff. Maybe they should make an rpg version. That would be much better. I love that advance wars game! @TossedLlama Nah, the CO system as a whole was very highly imbalanced until DoR. Weakening everyone's overall CO unit stat effects, and making the CO Powers situational instead of just being brute force rushers gives a greater sense of consideration for CO choice. The only OP CO in DoR is Caulder, although that's only natural, since he's the final boss. I guess I agree with ya about individual/brute full force. And def about the imbalances. But in DS you can turn off all special use and stat boost in the multiplayer and challenges. Rather in the campaign, the specials run rampant. if anything that i said makes sense. its late. plus i miss the characters. i know theres not much of a major story, but their designs are cool and recognisable, rather than having these new, cold, characters in DoR. Regardless, we need to see another title. I hope this series didn't die like Golden Sun did. @Beau_Skunk I was using just a bit of exaggeration & sarcasm there. Although, when I first moved back to Nintendo, I purchased Prince of Persia, Epic Mickey, Wii Music (a mistake in retrospect), Wii Play and Metroid Prime 3 for less than $20 in a used shop. The fact is that digital games (especially old digital games) have very little "cost" associated with them. $5 for NES is a scam as shown by 30 NES games + machine to run it is being sold for $60. Well, "scam" is a bit harsh considering, VC came out before they decided to make the Mini NES. Still, $5. for an NES game is still much cheaper then the $20. GBAdvance versions they used to have in the 2000s decade, or the $50. games they had back in the '80s & '90s. Some forget games back then were no cheaper then today's games. Even used NES & SNES cartridges in some stores can get expensive if they're a rare, or popular game, and many of those don't work well unless you clean their connectors with Q-tips, or something. @UK-Nintendo I have always said if you look around you can get the Cartridge or CD cheaper than the digital on 99% of games. 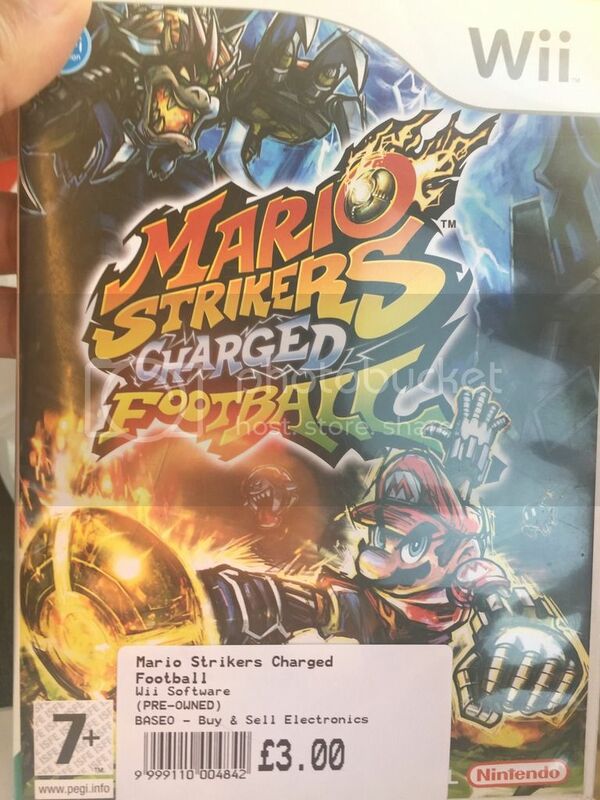 Congrats on the great deal and always having a copy of Mario Strikers. I still only download games which dont make it cart or CD. @Beau_Skunk Asking $5 for Urban Champion or to be honest any of the Black Box NES games is pretty much a scam. There should be flexible pricing on those games, even if it means Nintendo gets a smaller cut. Urban Champion =/= Super Mario Bros 3 nor does Rival Turf warrant the same price as Zelda: Link to the Past. Not always, where I live some used NES games can go up to $10/$15. Heck games like "Turtles in Time," & "Banjo Kazooie" are $30 or $40! The VC looks like a bargain compared to that. @Darknyht Well, there is an upside to fixed console prices. They'd probably charge more for "more advanced" games like SMB3 like $6 or $8 if they did that. Personally, I don't wanna pay $6 for the Zelda Gameboy Color games, that's why I only got them when they were in temporary discount sales. Seems more like a rip paying more for a game, just because it's popular. I will admit the $3 or $4 pricing for simpler GameBoy titles are nice though. Still, lower prices might not work for third-party games. @Beau_Skunk Should be up to a developer to find a right price. Even on the higher priced games, Nintendo would quickly find there is a point where people will not pay. The other side is that they could temporarily put the price on sale. @Beau_Skunk Thats to bad. I have got some great deals shopping ebay this year. I got 10 games for about 70.00 dollars in 2016. Ive even found some good deals at amazon and Gamestop. Hopefully you can pick up some of that luck. @mikegamer Yes, I know what you meant, and what I meant is that they are focusing what finite resources they have on making sure their upcoming console is successful. The Wii U VC doesn't help the Switch, so it gets no resources. There's no reason it should. But thanks for the prompt response.